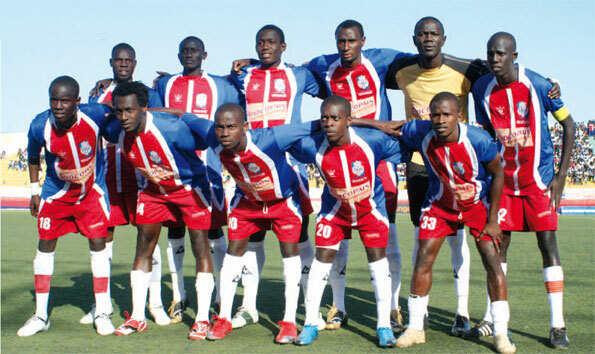 ASC Niary Tally had a rather poor season, finishing at eight place of the Senegalese Ligue 1 2013. The club is rather ambitious and I believe they will field a strong team for the up-coming season. * Lanky striker Abdoulaye Ndaw joined Romanian top level side FC Dinamo Bucuresti during the mid-season transfer window. As far as I know, Ndaw left the club after 4 matches (0 goals). * Talla Ndiaye is the new wonderboy at ASC Niary Tally. The young striker, who was mostly used as a substitute, has played regularly for the Senegal U-20 national football team. * Few Senegalese clubs can match the full-back duo of Adiouma Gaye (left) and Djiby Diaw Tireira (right). * Apparently, enterprising winger Alphonse Ba has joined Diambars after a positive season. * The young midfielders Abdoulaye Ba and Amadou Erasme Badiane are both players to watch. * Strongman Augustin Olivier Ndiaye is commanding the central defence, or shielding the defenders from a holding midfield role. Ndiaye is a key player with his strenght and experience. * Sidath Ndiaye, the hard-working defensive midfielder, is an unsung hero, but his importance should not be doubted. * Mamadou Diatta Ndiaye, the petit winger / striker, formerly of Zig-Inter FC and Casa Sports, is an exciting player to watch. * The veteran Bity Sy is first-choice goalkeeper but he should watch out for 19-year old El Hadji Ousmane Top, a tall, athletic goalkeeper with a promising future. The picture was found on www.galsenfoot.com.